The Missing Monarchs article exposes the threat certain aspects of modern farming practices has on the steep decline of Monarch butterfly populations in the U.S. Scary stuff, but there are things we can do to help stem the tide. Mitigation versus procrastination? 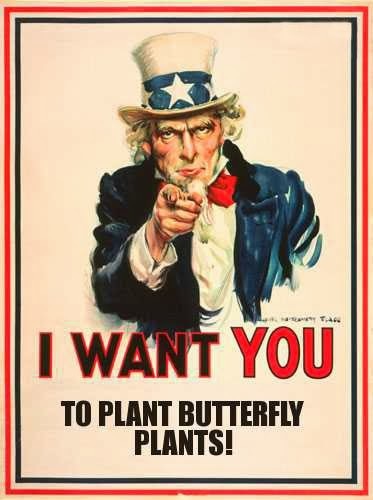 Hopefully, Mexico and the U.S. can work together to protect Monarch butterflies. An L.A. Times article by Tracy Wilkinson. Thanks to Margot Norris who subscribes to this blog for bringing this article to my attention. 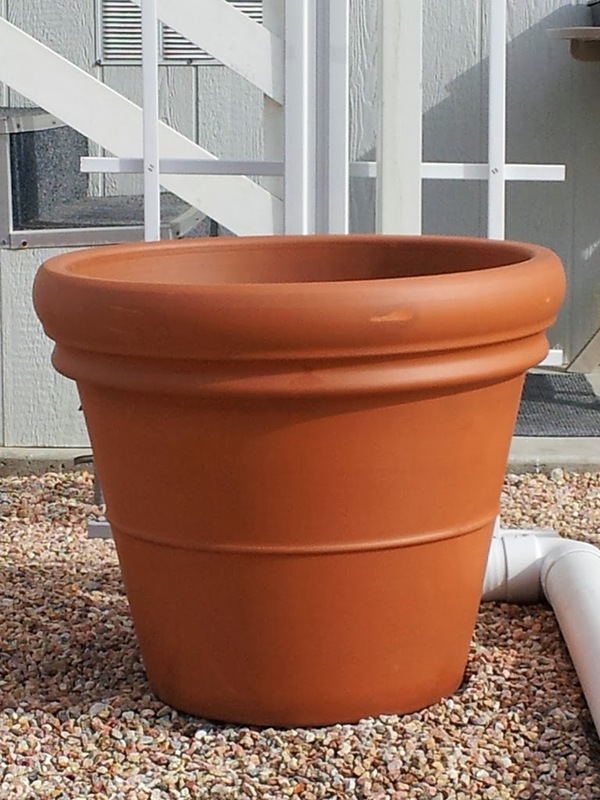 When using large containers, especially tall varieties, one can save on potting soil (and weight!) 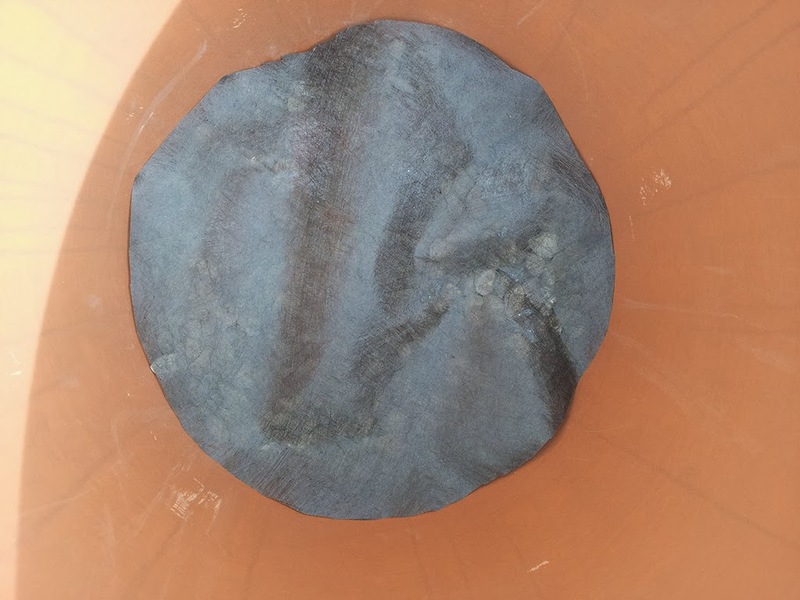 by filling the bottom of the the pot with with light materials such as bits of Styrofoam or similar substances. The thought of using packing peanuts crossed my mind, but they may not work very well due to their meringue-like sponginess that would most likely compress with the soil and water weight put on them. It reduces the weight of the pot. It aids in maintaining a healthy root system. 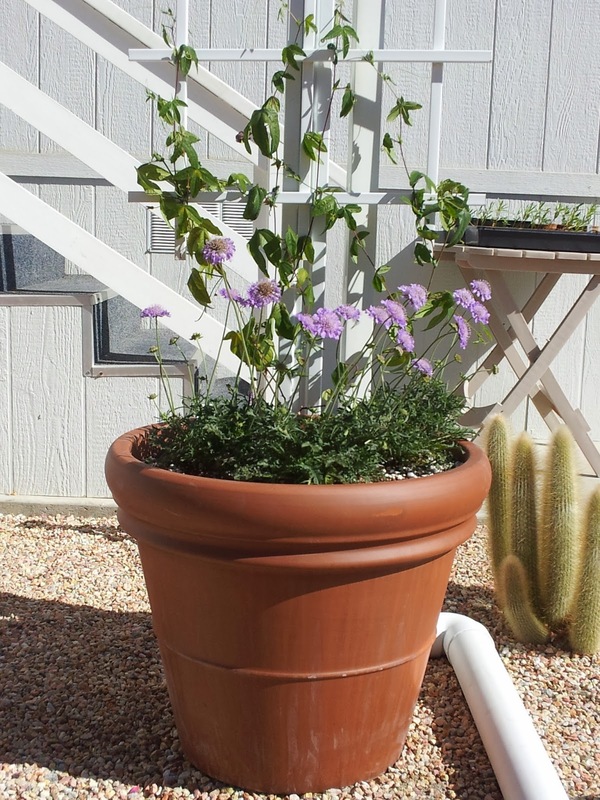 This pot is taller than it is wide. Soil at the bottom of it tends to stay wet and turn sour, and they can get heavy! 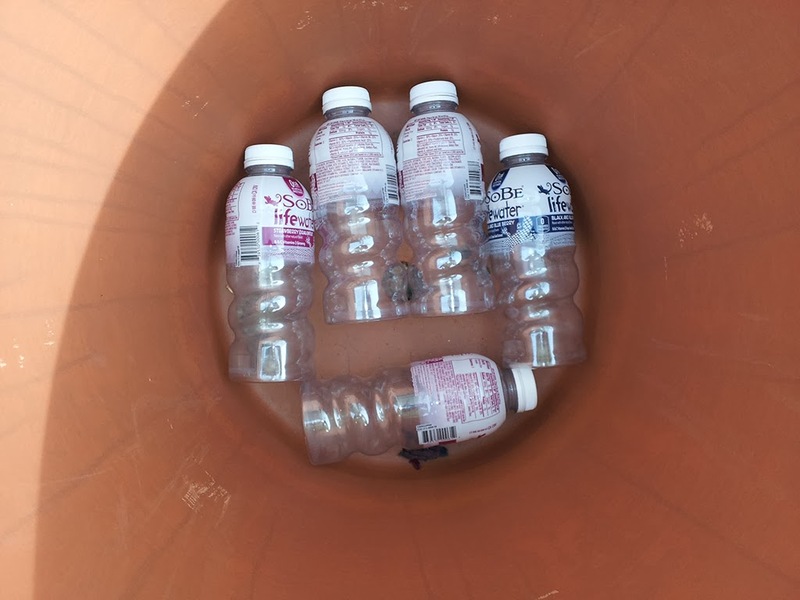 Filling bottom with empty plastic drink bottles. Adding some gravel around the bottles to eliminate any empty pockets that would cause the landscape fabric to fold in under weight. Laying of fabric over bottles and gravel. Roughly the airspace created by placing the filler at the bottom of the container. One can go as high as one wishes. ...and here it is planted with a passion vine trained on a trellis to attract Gulf Fritillaries, with some Scabiosas towards the front as general nectar plants. 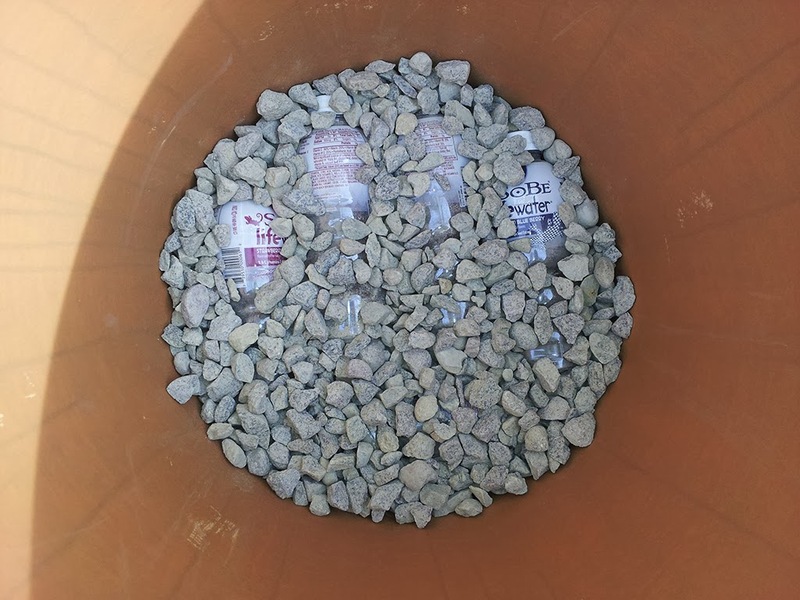 Broken up chunks of Styrofoam would be a better choice than the gravel, but storage constraints in a mobile home are at a premium. I already use gravel in other ways, so it is already here.